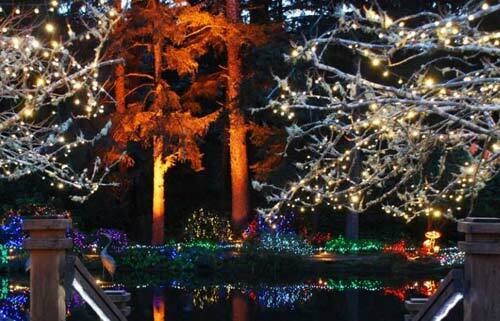 (Coos Bay, Oregon) – The greatest of classic Oregon coast gardens lights up for the holidays in Coos Bay soon, as the 32nd annual Holiday Lights at Shore Acres kicks off its season on Thanksgiving Day. Growth of this stellar and stunning event has meant a bevy of new, awe-inspiring sights, but it's also meant some traffic headaches to be aware of, say state officials. 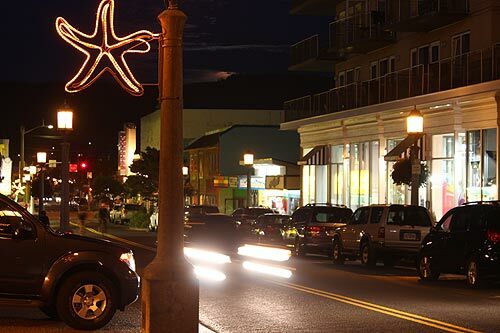 Holiday Lights at Shore Acres will run nightly from 4 p.m. to 9:30 p.m until New Year's Eve. All manner of ''light sculptures" now grace the massive gardens, with pelicans, puffins, jellyfish, a life-size leaping orca whale, butterflies, sea lions, leaping frogs and much more. 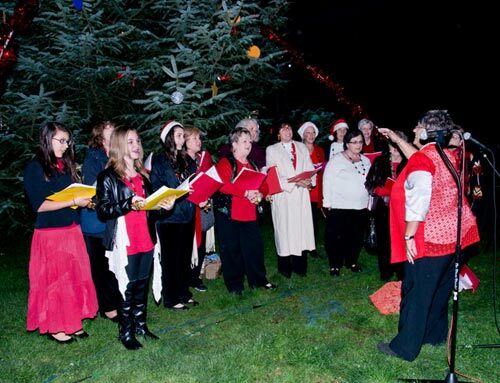 The historic Garden House is open nightly offering free hot cider, punch, coffee and cookies, and holiday concerts featuring local choirs and musicians are scheduled many nights. A schedule is posted at shoreacres.net. Park Manager Denice Hardy calls the event's growing popularity ''a wonderful double edged sword." "We're thrilled to be able to offer this beloved holiday event," she said. ''However, dealing with traffic on Cape Arago Highway at peak times isn't fun for anyone." Congestion here can stack up for an hour and a half or longer – if it's on a dry weekend day. Consequently, Oregon State Parks is dangling a small incentive to encourage weekday visits. Park rangers at the entrance booth will randomly select one vehicle each Sunday through Thursday after 3 p.m. to win an Oregon State Parks branded gift or an annual parking pass valued at $30. "The giveaway is our way of thanking those who can make a weekday visit work with their schedules," Hardy said. ''We hope this will lead to a better experience for all, every day of the event." - Arrive before 4 pm to enjoy trails, ocean views, historical displays and the gift center. - Watching the gardens light up as dusk settles to dark is pure magic. Don't fear the rain. - The lights are beautiful no matter the weather. Carpool. Traffic stalls when the parking lot is full, typically by 6 pm. - Visitors may encounter traffic flaggers on peak nights to help traffic flow and allow access for emergency vehicles. Shore Acres Holiday Lights has been a tradition since 1987, when the Friends of Shore Acres first decided to string a few lights. Hundreds of volunteers spend six weeks installing lights to prepare for the Thanksgiving opening, and local businesses and organizations decorate the park's 26 Christmas trees. Pacifica House / Waves House, Waldport. call for more. Two contemporary vacation rental homes in Waldport. The Waves House sleeps 7 guests; 2 bedrooms, 2 full baths, comp wine, high speed wifi, 50” Smart TV, Some pets allowed, expansive views of the ocean, wood fireplace, cathedral ceilings, and a private hot tub under the stars with an ocean view. Especially child-friendly features. Pacifica House sleeps 8. Waldport, Oregon.. 541-968-0322. Website here.